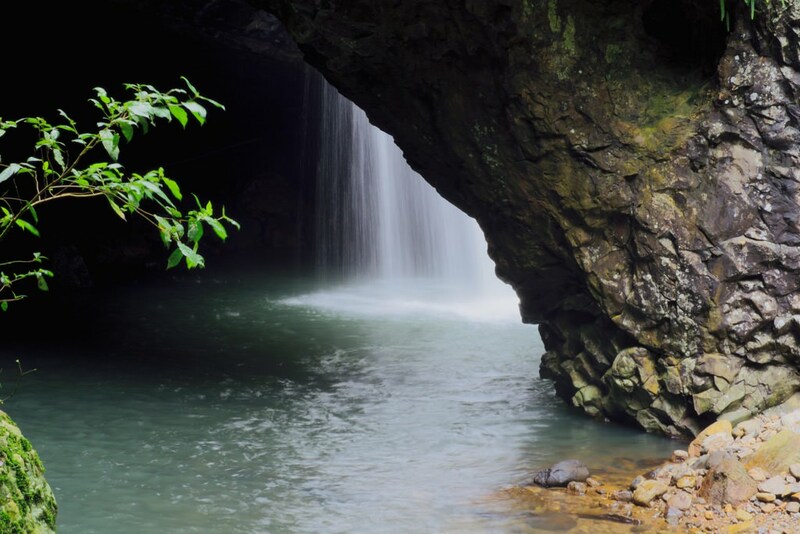 Directions: Springbrook National Park is located about 100km south of Brisbane and comprises four sections on and around the plateau; Springbrook section extends along the crest of the plateau, Mount Cougal section to the south east and Natural Bridge and Numinbah sections to the west. Exit the Pacific Motorway at Nerang (exit 69) and follow the Nerang–Murwillumbah Road for 38km. Turn left into the park entrance. 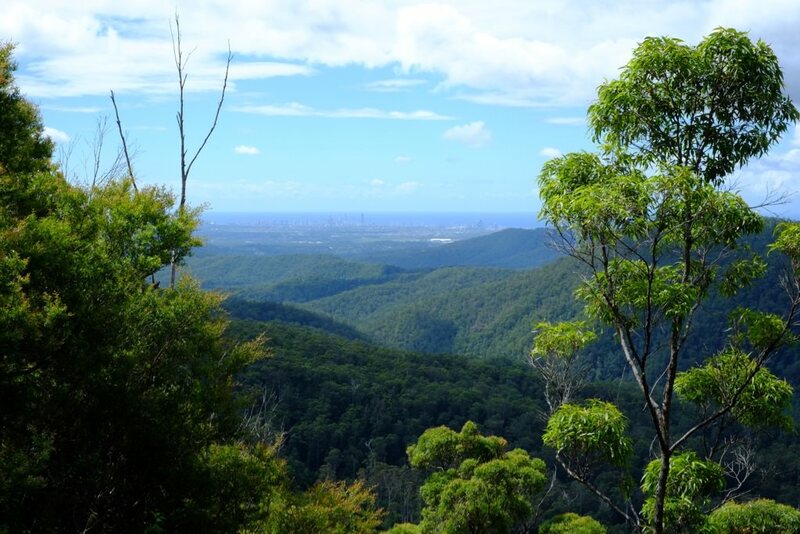 An alternative scenic route is 42km via the Springbrook plateau from Mudgeeraba. From the Pacific Motorway take exit 80 from the south or exit 79 from the north and follow the Gold Coast–Springbrook Road to the plateau then turn right onto Pine Creek Road. Follow Pine Creek Road to the end and then turn left onto the Nerang–Murwillumbah Road. Natural Bridge can also be reached from Murwillumbah by following the Numinbah Road for 28km. The scenic access roads are winding and should be travelled with care. 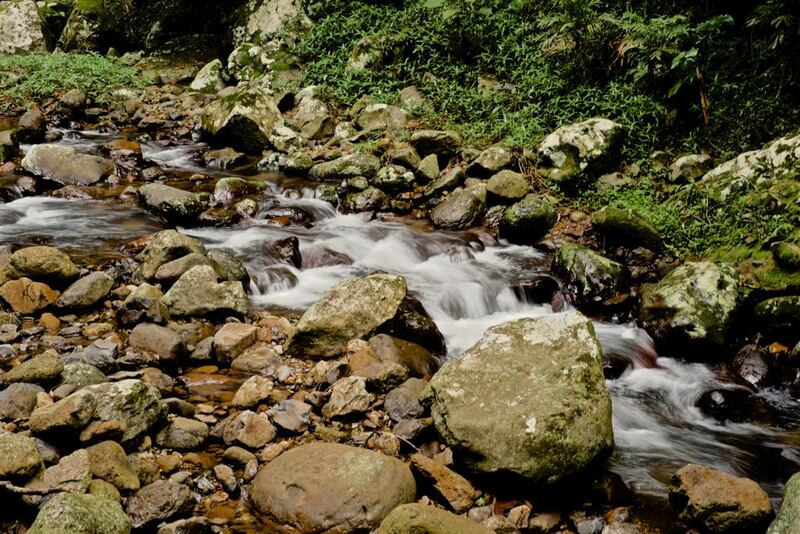 In the Springbrook National Park, South East Queensland near the border of New South Wales the walk to Natural Bridge is relatively easy but beautiful. The bridge itself is stunning from beneath and from above. At night you can see glow worms.